How CRM Software Can benefit Your Small Business? Customer relationship management (CRM) software enables small-business owners to scale their sales and service operations by sharing crucial information throughout an organization. CRM tools allow company leaders to better anticipate customer needs while enhancing service. The basic CRM software automates the process of tracking every interaction between a customer and a company representative. When companies lack the tools to manage their customer relationships, customers are bound to fall through the cracks. CRM systems can help ensures that this doesn’t happen by adding a layer accountability to the customer relationship management process. A CRM system provides to companies that use them, the biggest benefit of CRM systems is that their use leads to a better overall customer experience. Customers are more easily and accurately segmented, their needs identified, and because the status of a company’s relationship with them is accurately tracked, companies can interact with them meaningfully at the right times, leading to more sales, faster sales and higher customer retention and satisfaction. 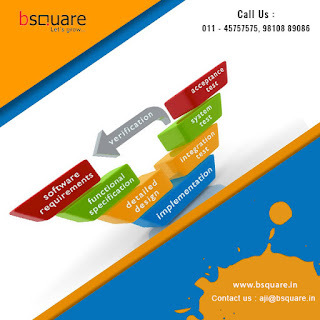 Bsquare Solution, is a CRM Software Companies in India, provides the INTACT CRM Software on a cloud which helps sales automation and maintains the customer information/ database and receives customer compliance/ requirement for spares etc.